Hacking, Actually Hacking means Advanced Programming in terms of Software World. Wherein the programmer or the tester tests the application for vulnerability so as to fix it in the upcoming versions via patches or upgrades. But Users on Internet take hacking as a wrong way, Hacking for them is stealing passwords, breaking in to some one’s privacy and so on. 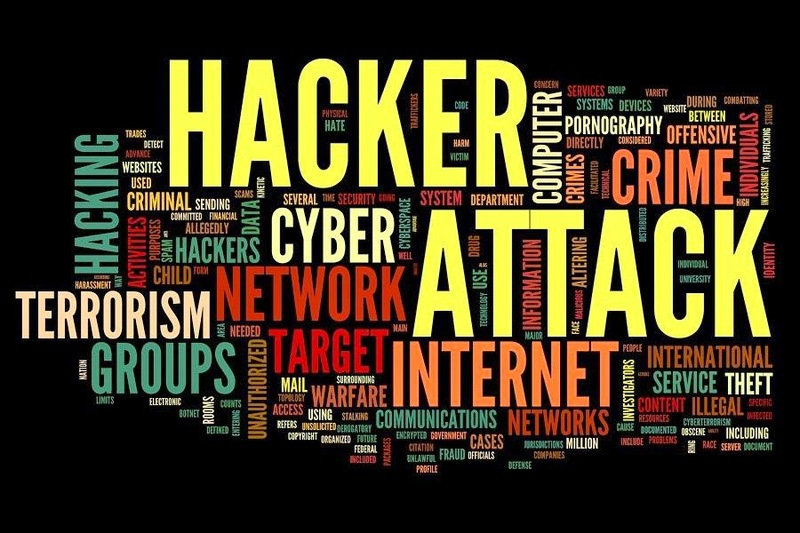 Users on Internet keep on searching about hacking and as you guys know Google has answer for everything, it lands you to some pages where you get tools or methods to hack one or the other application or website. The user who comes across such tools start using it without understanding it’s working. Such users are known as script kiddies. They search on Google for hacking some or the other thing. They come across some or the other tools which claims to hack on or the other account and after using it you found out that there was some error in that tool and you couldn’t hack, so search for another tools and do the same. Actually many times, professionals hack post lot of fake hacking tools for script kiddies to use. Such tools instead of hacking some others account, it hacks the accounts of the user who is using it to hack someone else’s account. Let me take up such an example which will clear your all confusions. How to Hack the Hacker? Let me take a scenario. 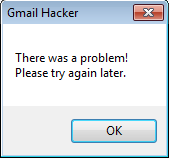 Suppose I want to hack someone’s Gmail account. What a normal user does is Google’s it. Even I did the same. 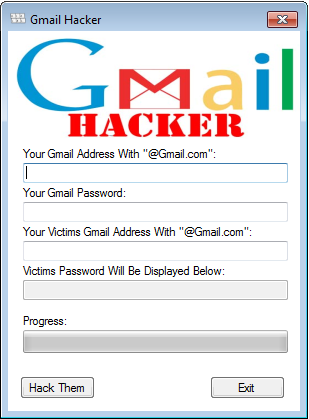 I came across a tool which says that it can hack Gmail accounts’. Have a look at the application below! The Above application claims that. Just enter your own user id and password and enter the User Id of the victim and click on Hack them button. Once you do so you will get the victims password in the text box mentioned as “Victims Password will be shown displayed here”. Script kiddies are so curious about hacking into someone’s account. They don’t even think for a second and enter their own username and password along with the Victims User ID, which they want to hack as below. Now the Hacker, i.e. the script kiddie, who wants to hack someone else’s password does not even think why he is required to enter his own user id and password to hack someone else’s password. As you see in the above Image the person has enter his own user id and password and also he has enter the Victim’s Gmail id which he wants to hack. All Set ready he clicks on Hack Them button. Here goes the next thing what happens? As soon as the hacker clicks on the button as progress bar as shown in the below image is show. This makes the hacker think that the application is trying to get the password of the Victim. Once the Progress bar completes, the hacker gets this screen as below. Hacker thinks that there is some problem with the server and he tries again for next two three times. After trying for many times. Hacker thinks that this tool is useless and so he goes back to Google to search for another such tool. But in the meantime he fails to understand that in lue of hacking someone else, he himself has been hacked. Strange??? Have you even came across such situation?? If your answer is yes go and change your password and check your security settings. Let me tell you the background story of this application that how come this application hacks the Hacker himself. 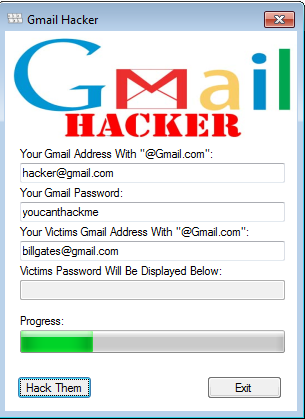 The Gmail hacker, which you saw above was generated as below process! Builder Application and gets the screen as below. Here the professional Hacker, Who is trying to hack the script kiddies and who has generated that tool above which hacks the hacker, enter his own user id and password on which he wants the hackers (Script kiddie’s) user id and password to be sent. After the professional hacker enters his own user id and password and clicks on Build. He gets the following screen. 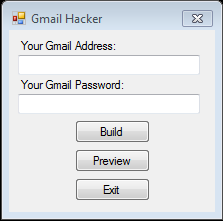 A new file is created in the same folder with name Gmail Hacker.exe. Now you see the above. There is a new file generated. 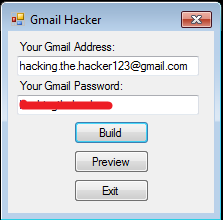 Which the professional hacker sends or uploads it on internet wrongly mentioning that this tool can be used to hack other Gmail accounts. Let me show you the email which the professional hacker gets once the script kiddie executes the Hack Them Button. Have a look at the email which the professional hacker gets when any hacker (Script kiddie) uses its application to hack anyone else’s password. Have a look below to the detailed email. So next time you when you are trying any hacking tool which claims that you can hack using that tool, stay alert! Safe Hacking!